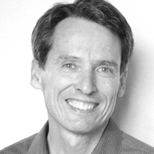 September 18, 2018 — Carbon pricing is like good dental hygiene: It involves a bit of pain and expense but provides many benefits, including saving money, for years to come. Increasingly U.S. politicians across the spectrum are beginning to see both the necessity and benefits of good carbon hygiene. 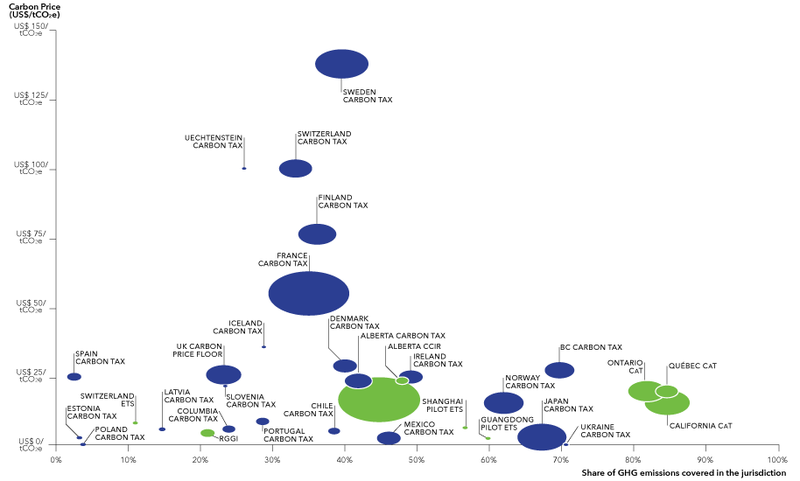 Carbon price, share of emissions covered and revenues of implemented carbon tax (blue) and cap-and-trade (green) initiatives. Size of circle reflects relative size of revenues. See source (p. 23) for details; click to expand. Source: World Bank’s State and Trends of Carbon Pricing 2018, licensed under CC BY 3.0 IGO</a. This article is a misleading about the application method for a carbon tax. It says that the tax is applied to industries that emit CO2. This is incorrect. A carbon tax is applied on the raw carbon fuel product to the first producers of the carbon fuel (oil companies, coal companies, etc.). This forces the producer company to raise prices on its fuel, and this higher price radiates throughout the entire economy. this ripple effect automatically raises the price of goods using the fuel throughout the entire economy. This higher price provides disincentives pushing manufacturers and consumers away from using the carbon fuel products. Working this way, the beauty of the carbon tax is that does not require government monitoring and enforcement except at the point of carbon fuel production. I have been a supporter of CFD for several years as a member of Citizens Climate Lobby. This article does a great job of explaining the differences of CFD vs Cap and Trade. Since many state constitutions require gasoline taxes go towards transportation infrastructure perhaps we would need a combination of both programs.